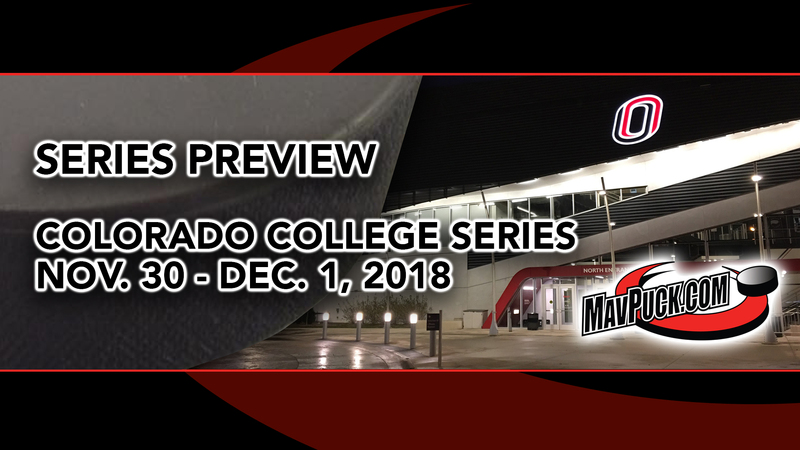 Fans had an opportunity to dine with the University of Nebraska at Omaha Hockey team on Nov. 29 at Anthony’s Steakhouse. 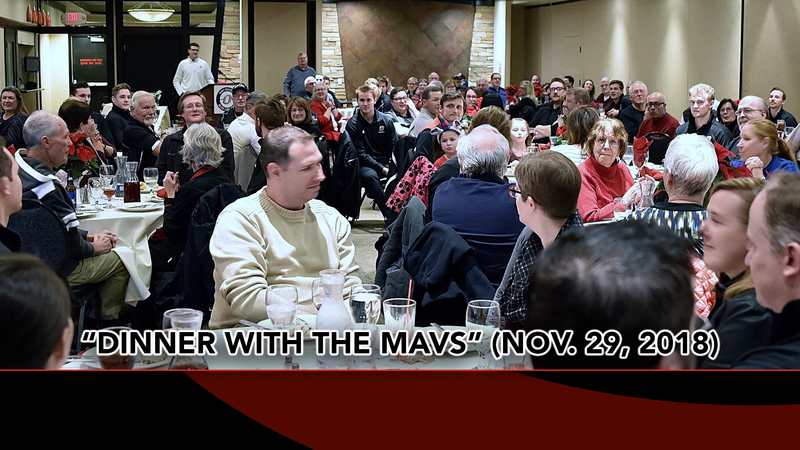 The evening event — dubbed “Dinner With The Mavs” — was reminiscent of Blue Line Club luncheons of yore. 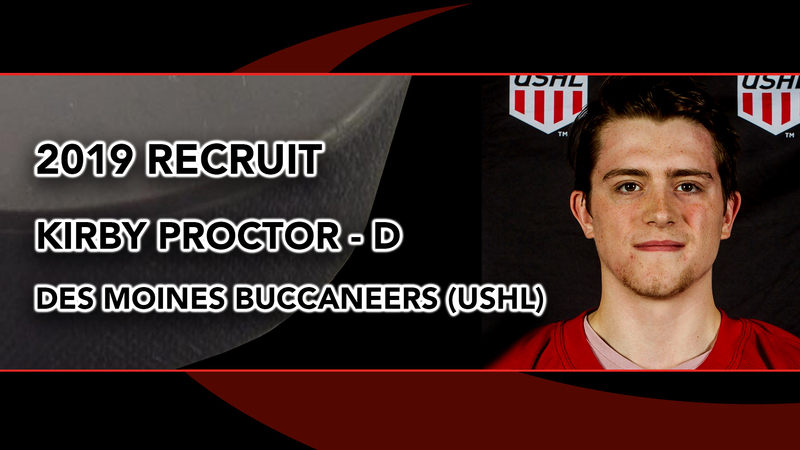 The University of Nebraska at Omaha Hockey program recently garnered a new signee — defenseman Kirby Proctor of the Des Moines Buccaneers (USHL). 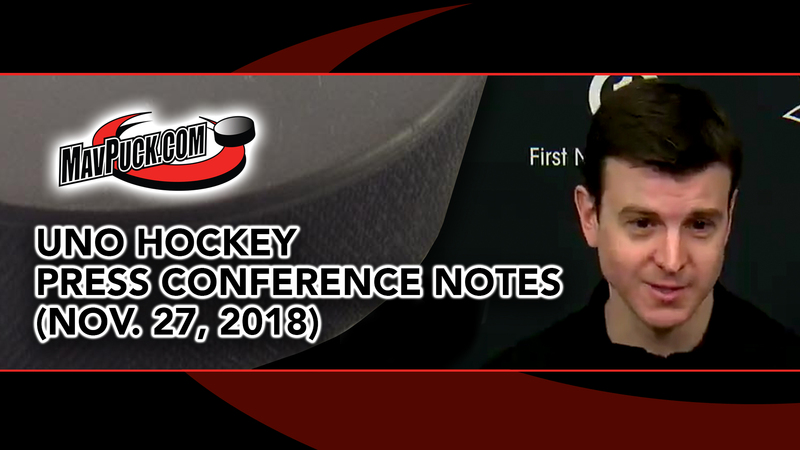 UNO Hockey Coach Mike Gabinet, junior forward Zach Jordan, and senior defenseman Lukas Buchta fielded media questions at the “Omaha Athletics Weekly Media Availability” on Nov. 27. 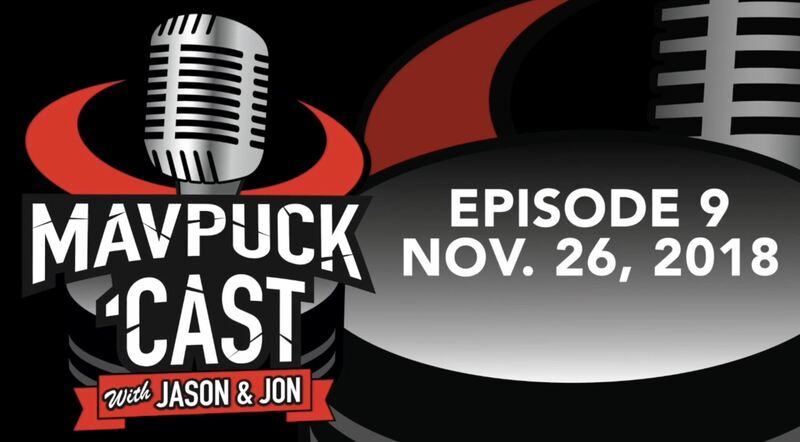 Explore all listening options for the “Mavpuckcast” on our “Podcast” page — click here. 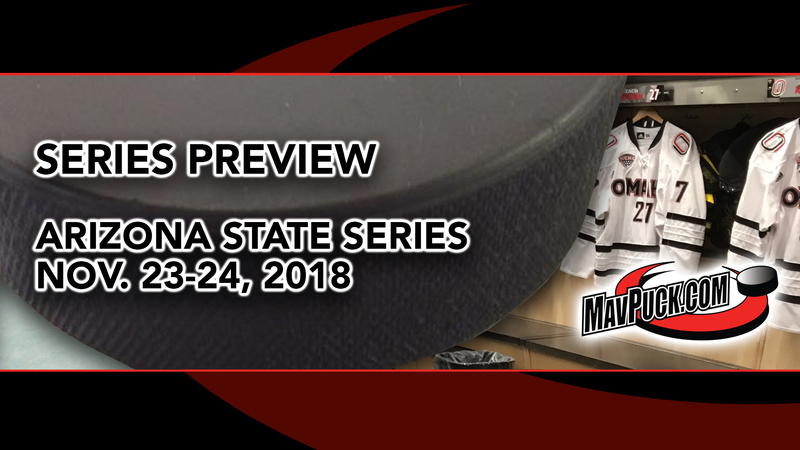 Details and insights on the upcoming series against Arizona State at Baxter Arena on Nov. 23-24. 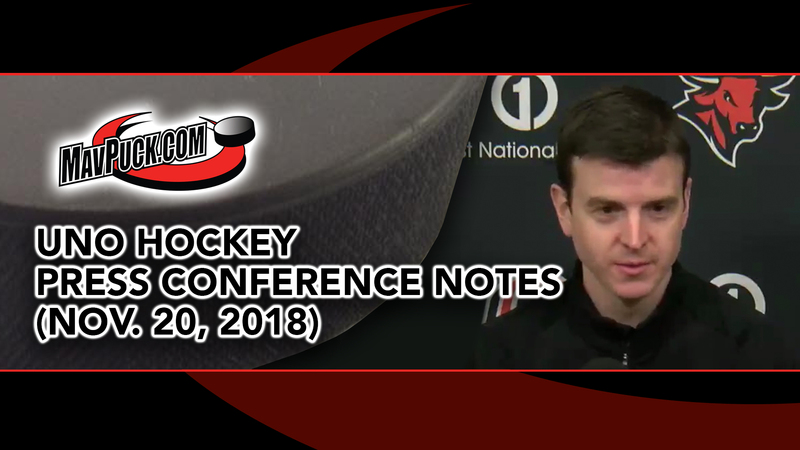 UNO Hockey Coach Mike Gabinet (along with two players) answered media questions on Nov. 20. 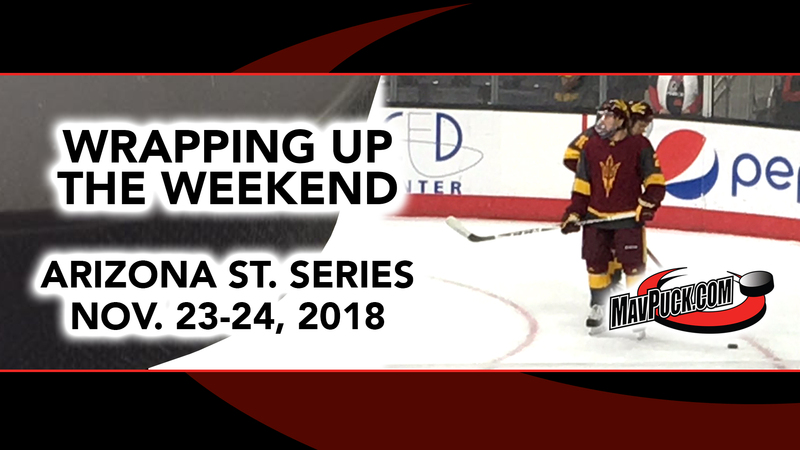 Special holiday gift for you! A bonus episode of our “Mavpuckcast” podcast! 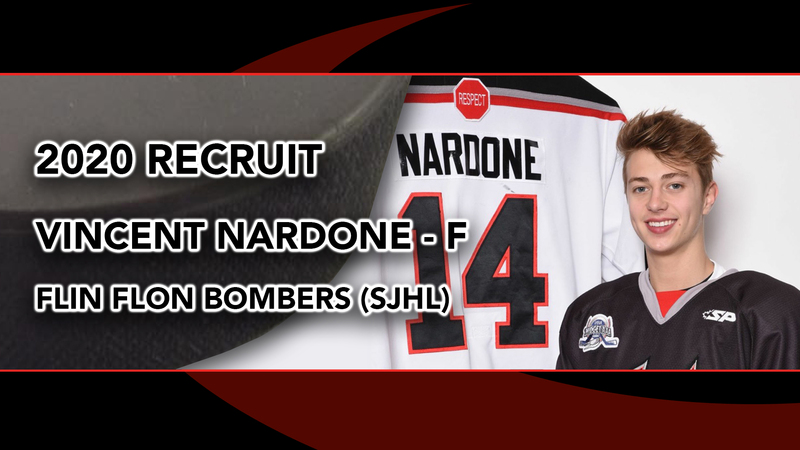 The University of Nebraska at Omaha Hockey program recently received a verbal commitment from forward Vincent Nardone of the Flin Flon Bombers (SJHL).